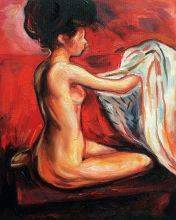 Daily inspiration is one of the most important functions of art. 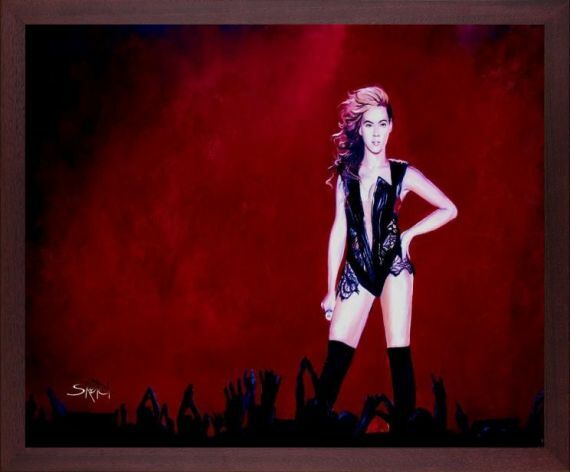 This painting by Michael Hitt is sure to help you feel empowered and confident every day thanks to its striking image of Beyoncé during one of her most famous performances. In "Beyoncé Super Bowl XLVII," the international pop star stands proudly on stage in her striking, all-black ensemble as her adoring fans look on. It's a radiant portrait of one of the most iconic performers of our time. 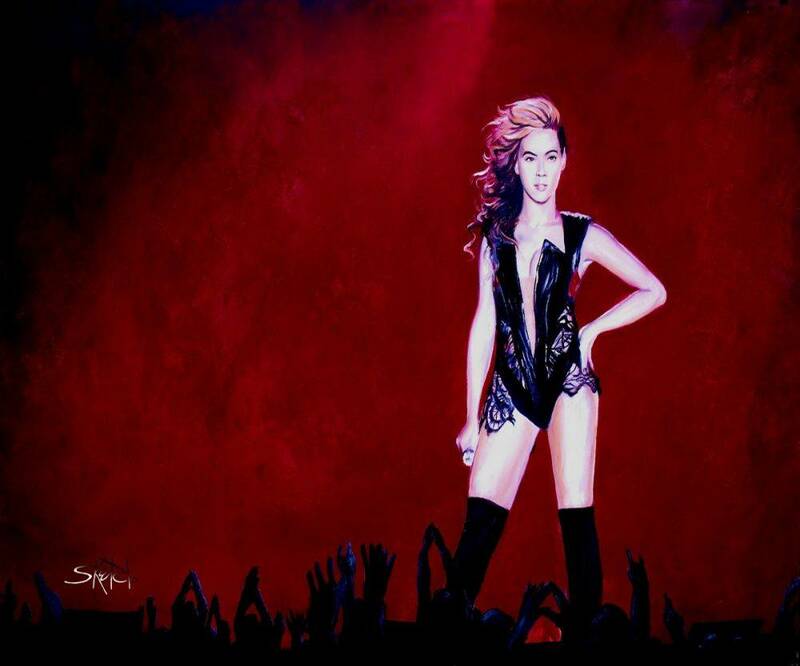 Hitt uses Realism to depict Beyoncé in a natural pose. Her features and limbs look like they could be sourced from a snapshot. However, the red haze in the background mimics the otherworldly effects of her performances that allow fans to feel transported. Beyoncé fans everywhere should have this gorgeous portrait hanging in their homes. 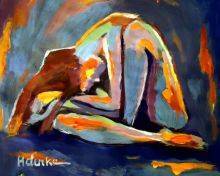 Get this amazing oil painting reproduction of "Beyoncé Super Bowl XLVII" by Michael Hitt at overstockArt. Color Palette for Beyonce Super Bowl XLVII is empty.